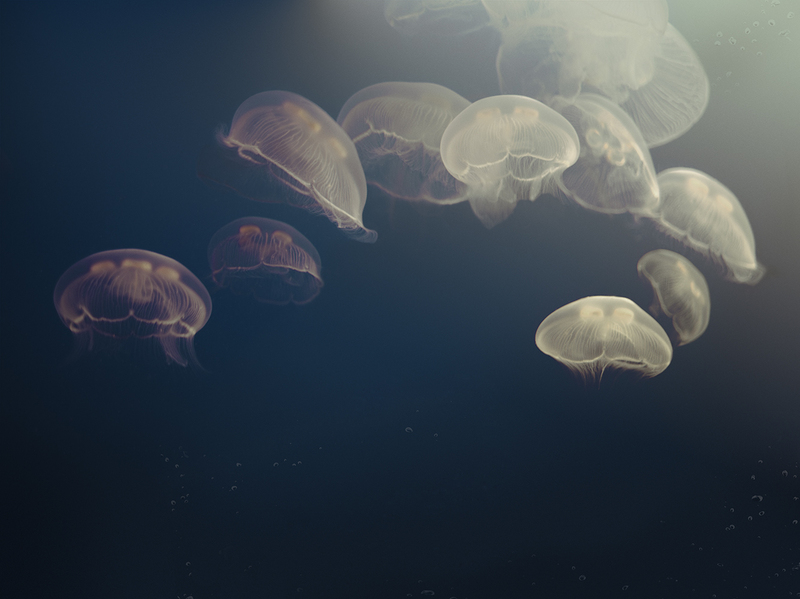 The Vancouver sea aquarium in British Columbia, Canada, has a stunning jellyfish collection. I decided to photograph the Moon Jelly (also called by its scientific name, Aurelia Labiatae). These beautiful creatures occur in large quantities throughout coastal waters. I was touched by the beauty of these creatures and amazed by the elegance in which they move through the water. The aquarium displays these creatures, each of them identical, against a very bright blue wall, which I retouched, of course, to suit my personal tastes. The result is otherworldly.